Are you looking for a trimmer that will help you in trimming and styling your facial hair, beard and body hair at the same time with the same efficiency at a reasonable price? Do you want the model which looks stylish, as well? 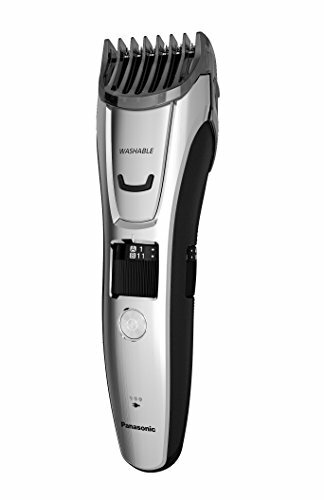 Panasonic ER GB80 Wet and Dry Beard and Hair Trimmer is the right choice for you. It is quite versatile and serves multiple purposes. Your shaving time gets reduced every day as you use the varying length adjustments of this trimmer to get the exact level of trim/cut/style that you want. Read the following hair and beard trimmer review to know more about the features, pros, and cons of this trimmer so that you will have a fair idea if it is worth your money’s value. 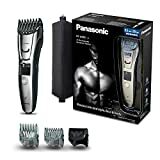 The Panasonic ER GB80 Wet and Dry Beard and Hair Trimmer is the ideal choice as a top UK beard trimmer for you if you are looking for a compact trimmer that helps you to trim your body hair, facial hair, and beard all at once. Though it is higher priced, it is worth every dime, as it comes with high-quality blades and superior technology. It comes in with 4.4 out 5 stars and 85% four star or higher and 3% with 1 star. This is the upgraded model of the ER-GB40, which I own and have been happy with for over a year of use. Panasonic Blue Wet &#038; Dry ER-GB40 Review This model allows you to do much more body hair trimming than the ER-GB40, but it is a very good beard trimmer.